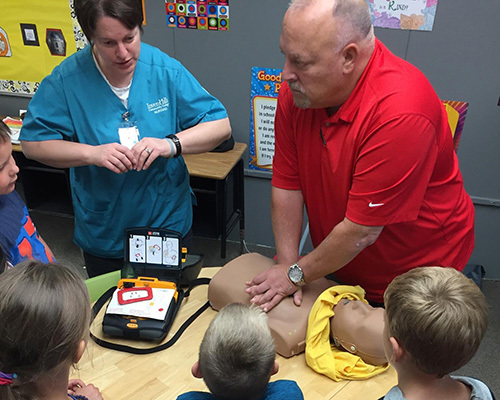 Cary Larsen - Advanced First Aid, Inc.
I’m a 35-year retired Firefighter/Paramedic. I’m a U.S.M.C. 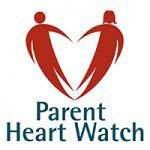 Vet, father of 3, and has been an American Heart BCLS Instructor since 1981. I reside in Burnsville, MN. I’m a member of Eagan Lions and co-chair for the Heart safe communities of Richfield. When not out promoting Heart Safe in the community, I enjoy spending time with my family and grandkids. Like everyone else on the AFA team, I enjoy sharing my passion to understand the importance and use of an AED and the ability to perform/act in an emergency. I’ve been an advocate of public education and supporting my community. In my free time, I’m a member of the Eagan Lions and I spend time with my grand kids. I co-chair the Heart Safe communities of Richfield. 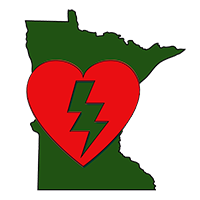 Since the fall of 2016 the members of the Richfield Fire Department and I are working accomplishing the heart safe designation for the City of Richfield. Like everyone else on the AFA team, I enjoy sharing my passion to understand the importance and use of an AED and the ability to perform/act in an emergency.